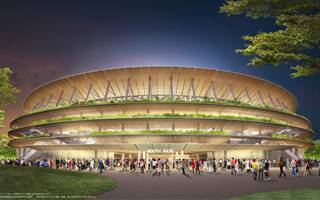 The Japanese government greenlighted the final design and budget for National Olympic Stadium in Tokyo. The concept saw cost-cutting efforts, but is only slightly cheaper. 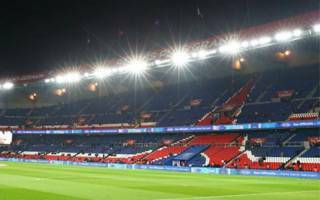 After six years of ban, organized support for PSG may return to Parc des Princes. 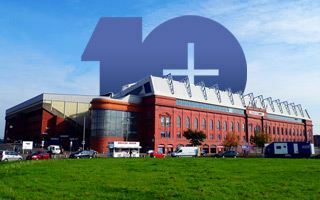 Both the club and police gave their approval for the move, even if a cautious one. 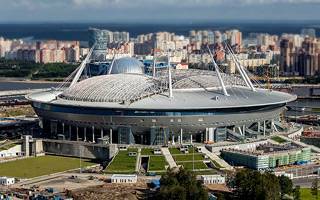 First attempt at closing the retractable roof over Zenit Arena will last 5 days. When it’s tested and working properly, it will only take 15 minutes. 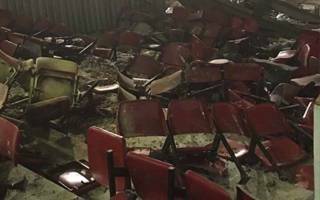 No-one will play any more game here and fans bid farewell to their stadium as demolition begins. Instead of Upton Park a new Upton Gardens estate is planned. 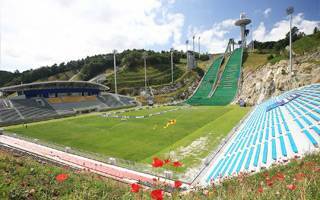 29.09.2016 New stadium: For footballers and… ski jumpers! This unique stadium in South Korea is at the same time a ski jump. Keep it in mind, because this is where the 2018 Winter Olympics will take place! 28.09.2016 Bundesliga: Could 1. 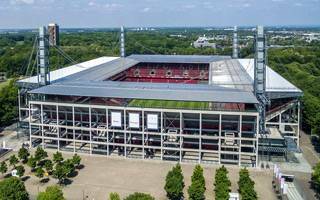 FC Köln build a new stadium? It may be just a negotiation strategy or a viable long-term solution for the Billy Goats. For now it’s a plan for the post-2024 period, assuming that the club remains on course. 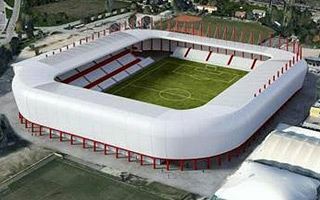 The popular French club launched a unique action, allowing fans to select the future seating layout at La Beaujoire. The unique thing about it is the fact that supporters can see the outcome as they choose. 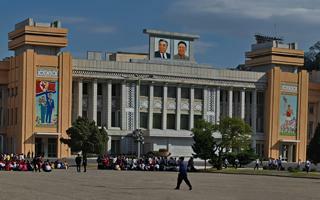 You may argue whether Kim Il-sung was the best leader ever, but that argument won’t happen in North Korea. Here’s the “eternal president’s” stadium. Won only one game and are in relegation zone. But don’t mind Premier League, West Ham are doing even worse with their fans recently, only adding fuel to already big fire. After over half a century of playing next door, Torino FC is finally just months away from returning to its spiritual home. Stadio Filadelfia will be operable in 2017. 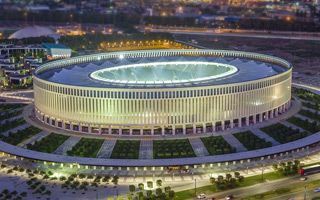 They began construction as one of the last cities in Russia, but are now well into the project, not threatened to miss the FIFA deadlines. 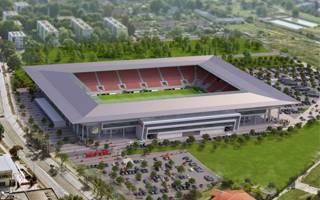 See how the Yekaterinburg host stadium has changed. 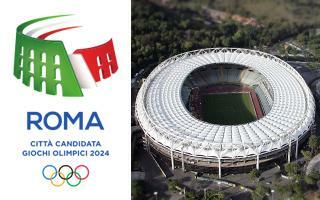 23.09.2016 Italy: Did Rome lose the 2024 Olympic bid or not? All indications suggest the 2024 Olympics will be decided between Budapest, Los Angeles and Paris as the Italian bid of Rome suffered from a major blow. But is it dead already? 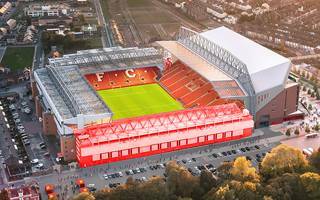 Liverpool FC have one year to move forward with their north stand expansion. The planning permission expires in September 2017. 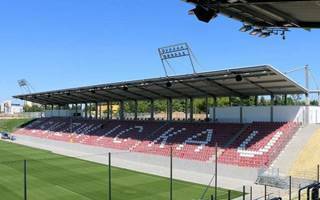 Budapest’s second modern stadium will open its doors on October 13. The timing isn’t perfect, but construction is delivered within the desired timeline. 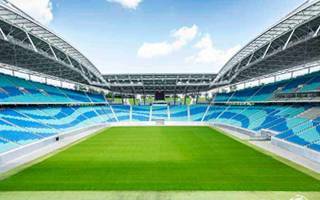 21.09.2016 Germany: RB Leipzig to consider new stadium sooner? Every game they could sell 10-12,000 tickets more than Red Bull Arena allows. The fresh Bundesliga “franchise” might require a larger stadium soon if they succeed in the league. 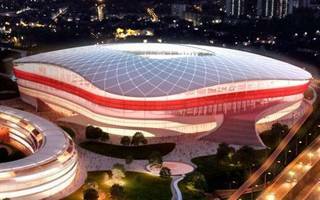 21.09.2016 China: No floating stadium for Hainan Island after all? The rising artificial eco-island north of Hainan could have been a place of the first large floating stadium. It most likely won’t as a different masterplan won the international competition. It should have been delivered by now, but initial plans were put on hold. Along the new one construction may begin within days or slightly later. Outcome to be ready in a year. 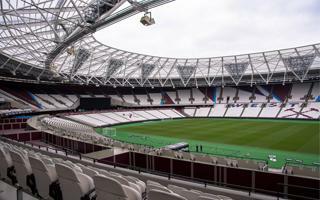 Before it gets demolished, former West Ham stadium suffered from explosions as American action movie is filmed at the stadium. It’s spectacular, but possibly not as spectacular as fans reactions. 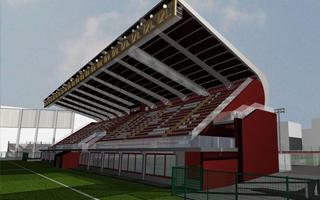 Aberdeen supporters trust ran an extensive survey of fans opinions on new stadium plan. Three out of four fans are positive about the need to move outside city limits. 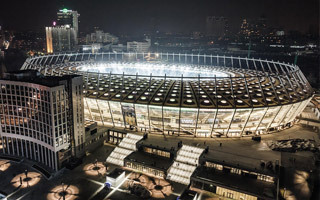 The national stadium of Ukraine will hold its first Champions League final in 2018, following a long campaign to win the hosting rights and upsetting Atletico Madrid who also submitted a bid. 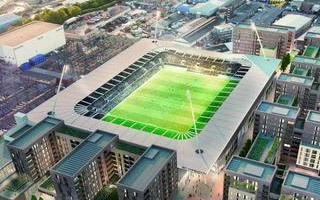 Merton Council has formally renewed its support of the decision to allow AFC Wimbledon to build a stadium on Plough Lane. Your Local Guardian report. 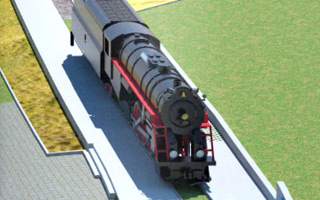 By mid-October the Poznan stadium will be decorated by Lech’s symbol, a locomotive. The campaign began several years ago. Zwickau is one of the shrinking cities of eastern Germany. It lost a third of its population since 1940s and is now resizing its infrastructure. A modest stadium was built on the site of what was once mass housing. 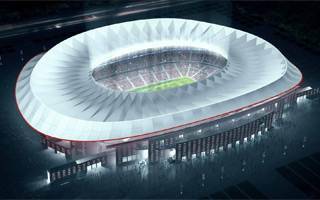 It might not have a roof yet, but Atletico’s new stadium already has contractor for the roof’s lighting system. 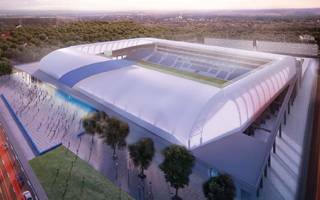 Philips will equip Estadio la Peineta with LED floodlighting. 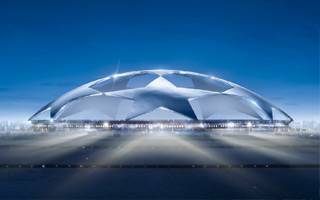 As 17 other clubs, Tottenham begin their UEFA Champions League group campaign tonight. It’s also their debut at Wembley Stadium as temporary home. Will they feel comfortable? 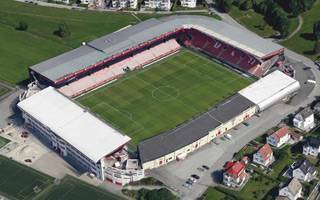 This unique partnership might see a new grandstand added to the SK Brann stadium in Norway. Up to 300 students might live in dormitories at the stadium. 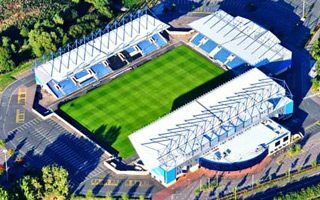 Oxford United have been granted planning permission for a temporary fourth stand at the Kassam Stadium. A BBC report. 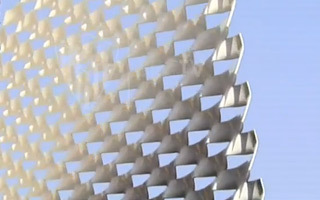 Thick aluminum mesh will decorate Estadio Ramón Sanchez Pizjuán by the end of 2016, ending the second phase of stadium renovations. 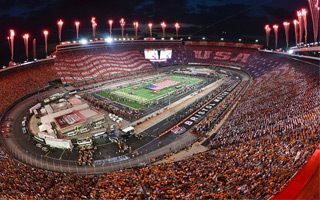 On Saturday American football celebrated by far the largest crowd in history. Still far behind association football, the American branch seems to be the only one still growing in crowd size. It was surely an adventure for many kids yesterday as visiting supporters showered them with cuddly toys. The overwhelmingly positive action went viral instantly. 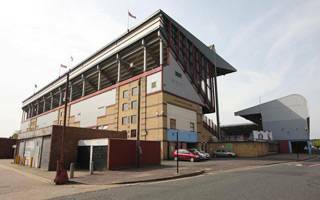 12.09.2016 London: Hammers fans dilemma – to sit, stand or fight? Thousands of fans continue to “persistently stand” despite threats of ground eviction. 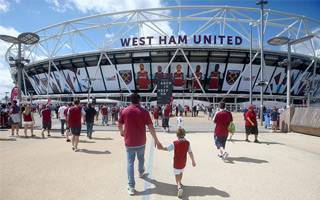 Tensions resulted in actual fights at London Stadium on Saturday. 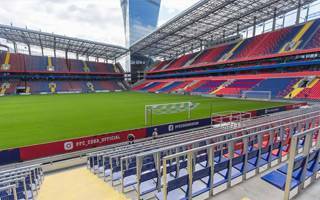 11.09.2016 New stadium: CSKA finally home after 9 years! 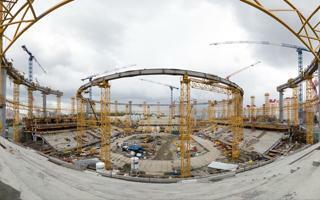 It took them a stunning 3,361 days to build the long-overdue Arena CSKA. But once they arrived there were fireworks both on and off the field. 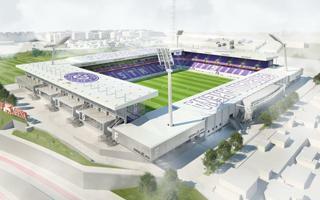 Over 2,000 people from the neighbourhood are trying to stop the new national stadium of Belgium. This time it’s about a road running through the planned venue. 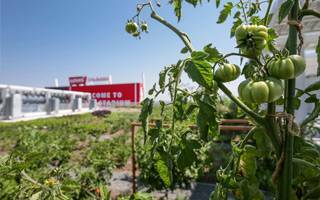 It may sound insane, but Levi’s Stadium really has a small farm built on top of it. It provides 40 kinds of organic herbs and vegetables that are later served to guests. It began with 100,000 capacity, then went to 95,000, later 84,000. Now, for the first time in history, it’s below 80,000. 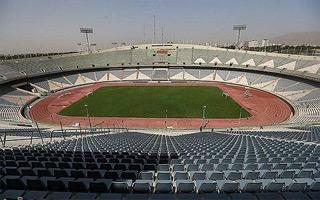 Azadi Stadium has just become an all-seater. 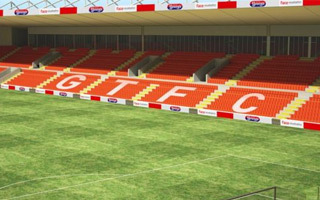 Extreme Leisure are to build the long-anticipated Grimsby Community Stadium, along with adjacent ice rink, shops and housing. Planning application yet to come though. 07.09.2016 New design: Italian third league’s own Allianz Arena? This comparison has only been made a million times by now, probably. 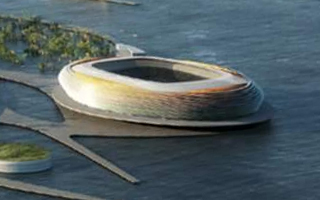 Every second new stadium is compared the landmark that is Allianz Arena. In this case there’s some, even if purely functional, resemblance. 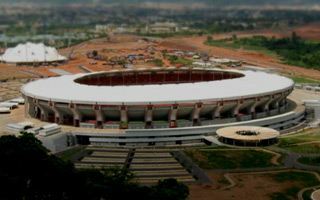 Despite it being illegal, herdsmen are taking their cows in huge numbers to graze at the Abuja National Stadium. As if the stadium wasn’t notorious enough already. 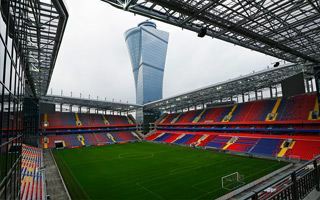 The Russian champions hope to cover their stadium cost timely. 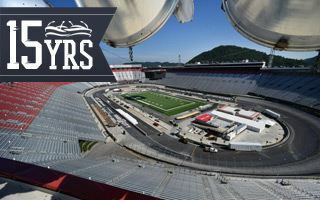 Skyboxes alone are to bring $20 million annually. The most expensive one is already booked. Jonanathan died of cancer in March. 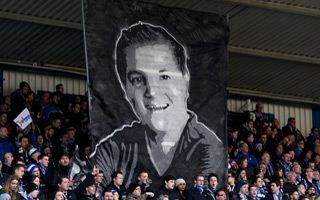 But memory of him will remain alive and is now spreading worldwide. “Johnny” now has his name included in the Böllenfalltor stadium! It’s located literally beside the sea. Well, not exactly the sea but the Kanmon Straits, but still. 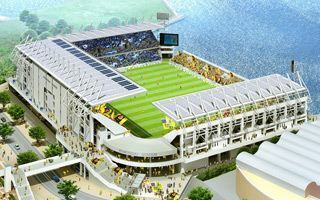 The new Kitakyushu stadium will be a very interesting addition to Japanese football. 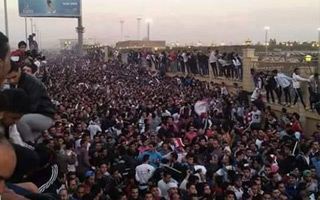 16 supporters of Zamalek SC accused of leading to their fellow fans’ deaths are still awaiting for their trial to recommence, following delay caused by insufficient evidence. Proceedings will restart in November. 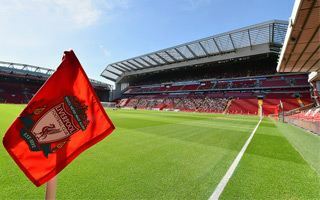 As fans share their impressions from the test events, Anfield is entering the last week of preparations for grand opening of the new main stand. See what’s new in Liverpool. 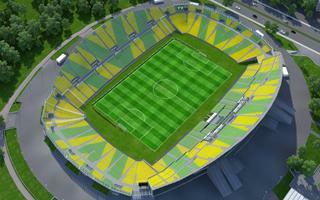 Finally we know when the FC Krasnodar stadium opens. First the Russian national team will face Costa Rica, then the host club will fight against Schalke 04. 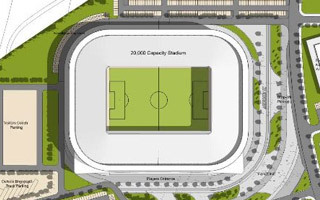 Both contractor and investor confirm that Canada’s latest football stadium is ready for tests. 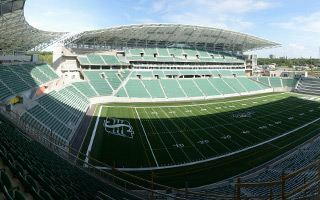 Some tasks remain, but looking at Mosaic Stadium you know why they announced completion! 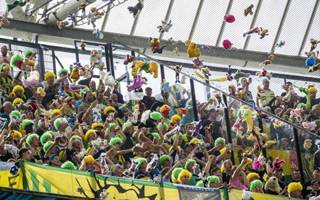 01.09.2016 New stadium: StadiumDB’s fresh record-holder!